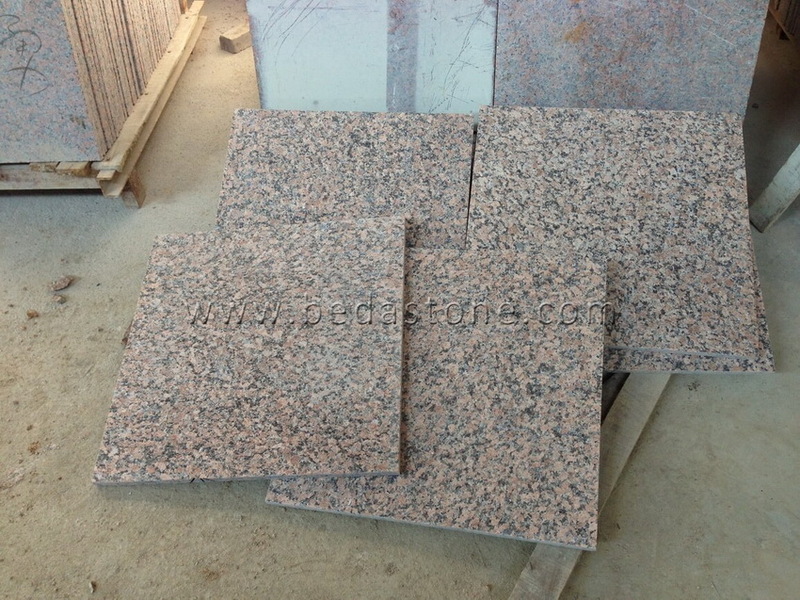 Maple Red Granite G562 is cheaper red granite than Tianshan Red granite. 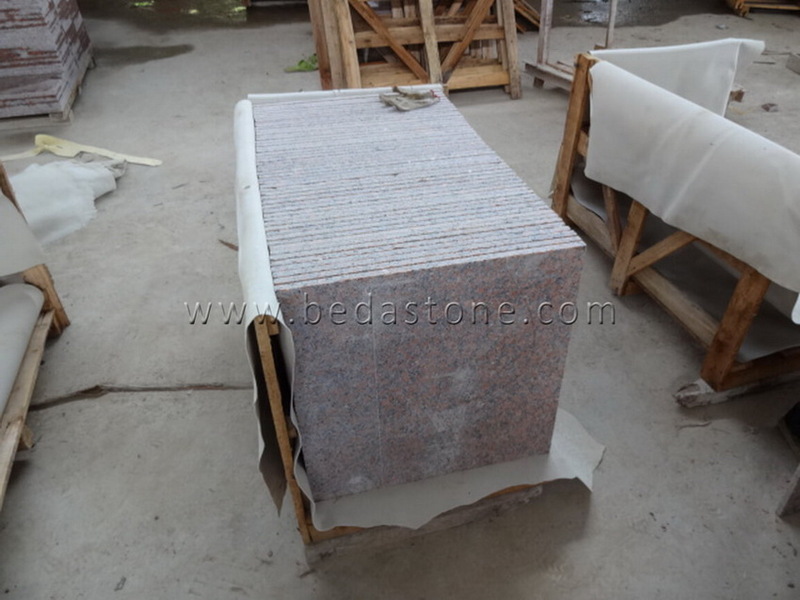 Maple Red has consistent grains and stable quarry resources, Beda can offer you large quantity G562 products, like Maple Red half slab, small slab, tiles, cut-to-size , molding, borders, window sill and Stairs. And we've ship approx. 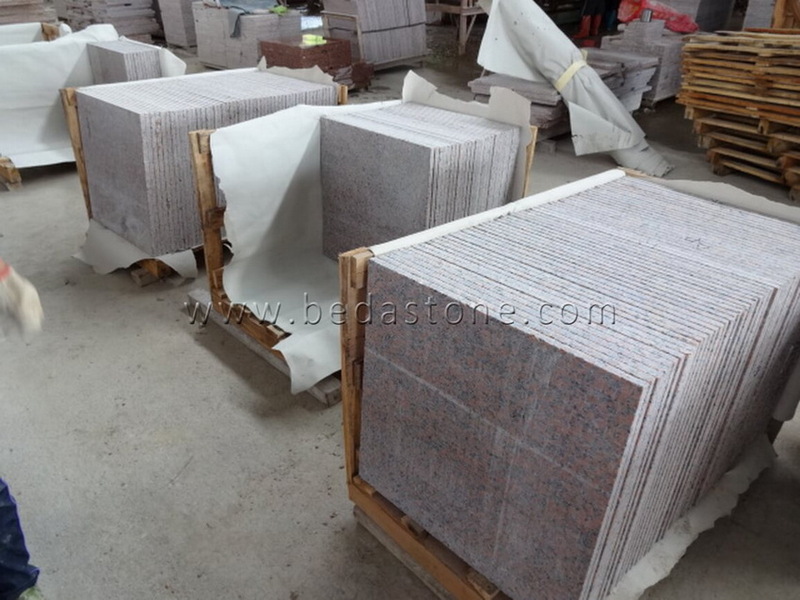 30 containers of Maple Red small slab and tiles in the past years in a row, like random polished 240upx70upx2 and 3cm, random flamed 240upx70upx3cm, cut to size 60*60*2cm flamed and so on. can be customized as per your require. 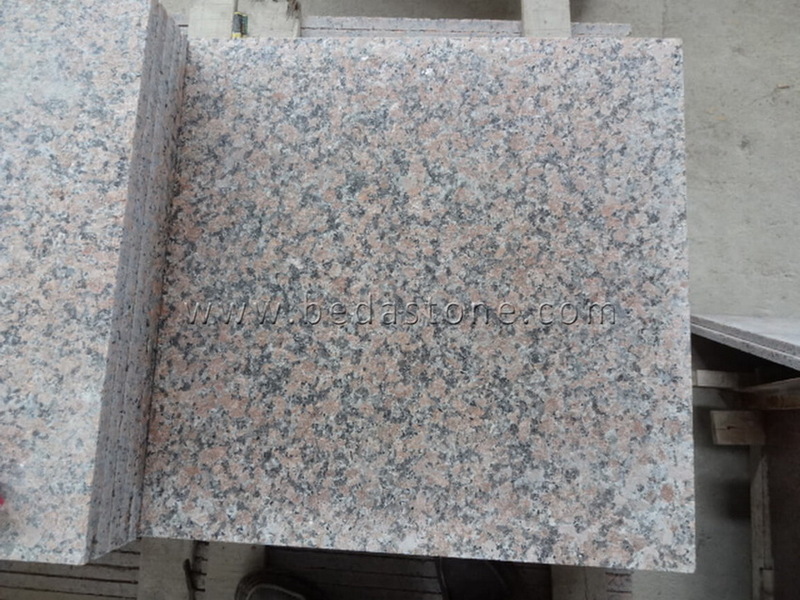 Countertop size: 48x26".70x26", 78x26", 96"x 26", 108"x 26"
Island top size : 72"x 36", 96"x 36", 96"x 40", 108"x 44"
Vanity top size : 22"x 25", 22"x 31", 22"x 37", 22"x 49", 22"x 61", 22"x 73",etc. 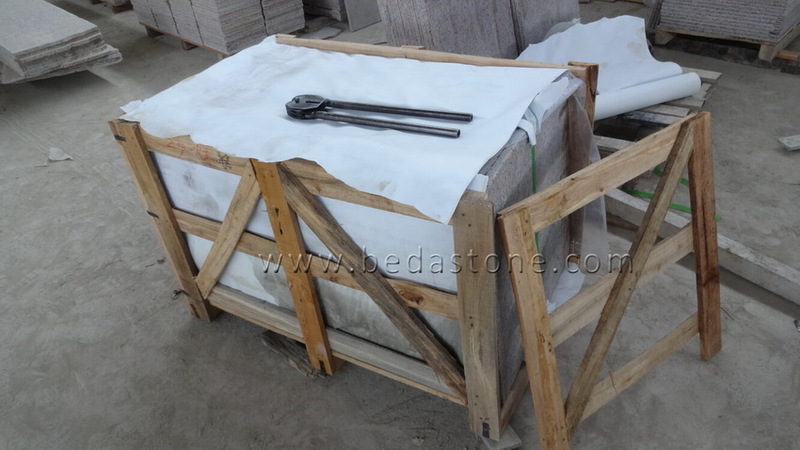 and each surface cover with PE film. Stair Step:80-120pcs pack in a strong wooden crates, each 10-15 pieces a bundle (after fumigation) and each surface cover with PE film.